St John Truck and Trailer Service Inc. is proud to offer our customers the option to purchase new tanks through us. 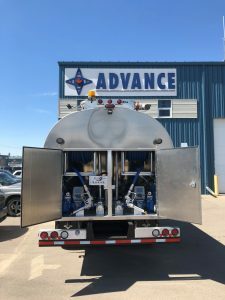 We are an official US dealer for Advance Engineered Products, a Canadian tank manufacturer that has partnered with us to promote the sale of their high quality, superbly engineered, custom built tanks. Advance takes every opportunity to work with dealers and consumers to ensure that customers are getting a tank that serves its purpose as optimally as possible. Advance Engineered Products employs the same number of engineers as competing facilities who produce seven times as many tanks per year. This ensures that every detail is scrutinized and accounted for to the exact specifications required by customers. As the first step of production, your tank will be constructed as a 3-D model for review, prior to manufacture. This allows for the ability to move components, change details, and fully accept what the final product will look like before it is manufactured. All equipment is engineered to withstand temperatures as low as -40 degrees Fahrenheit, and the roughest of North American terrain. 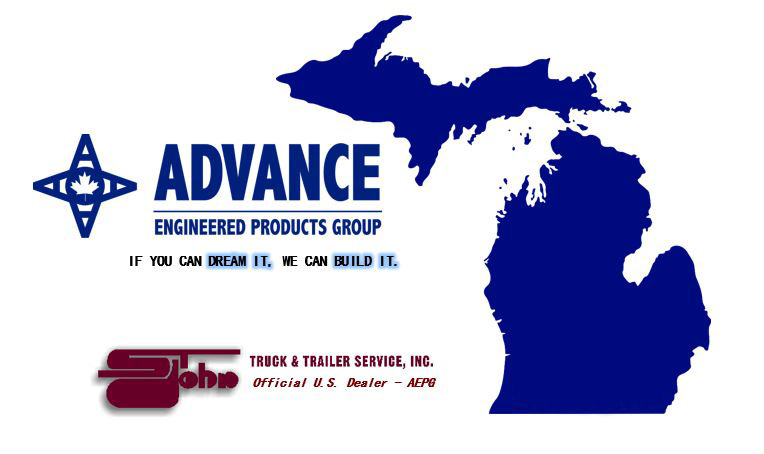 St John Truck & Trailer Service, Inc. believes in the quality of the products that Advance Engineered Products can provide. We play a very active role in helping our customers choose tank configurations that make the most sense for their businesses, and that will serve them for many years to come. 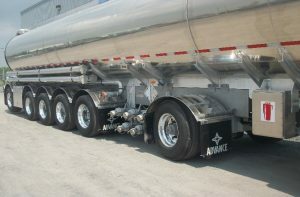 Above all, Advance produces tanks that are superior in quality to the competition. Because of this, their tanks have a longer road life, and therefore a lower total cost of ownership over their functional lifetime. If you are interested in learning more about Advance Engineered Products, please feel free to visit their website at www.advanceengineeredproducts.com. If you are interested in obtaining a quote on a new tank, please contact St John Truck & Trailer Service, Inc. at 1-877-550-2555.